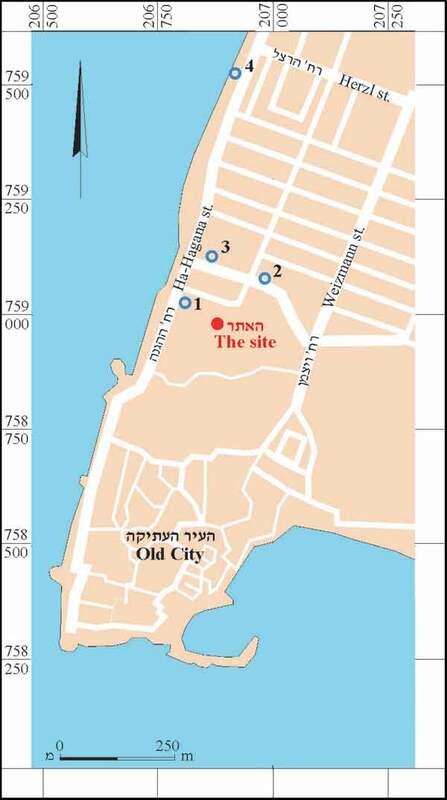 During May 2007, a trial excavation was conducted at the educational campus in ‘Akko, north of the OldCity (Permit No. A-5117; map ref. 206789–873/758946–9007), in the wake of construction plans. The excavation, on behalf of the Israel Antiquities Authority, was directed by E.J. Stern, with the assistance of Y. Ya‘aqobi (administration), V. Essman, V. Pirsky and H. Tahan (surveying), H. Smithline (field photography and Hellenistic pottery), A. Shapiro (completion of drafting and GPS), C. Amit (studio photography), L. Porat (pottery restoration), H. Tahan (drafting and pottery drawing), R. Vinitsky (metallurgical laboratory), D. Syon (numismatics), Y. Gorin-Rosen (glass), G. Finkielsztejn (Hellenistic amphorae) and D. Pringle (Latin inscription). 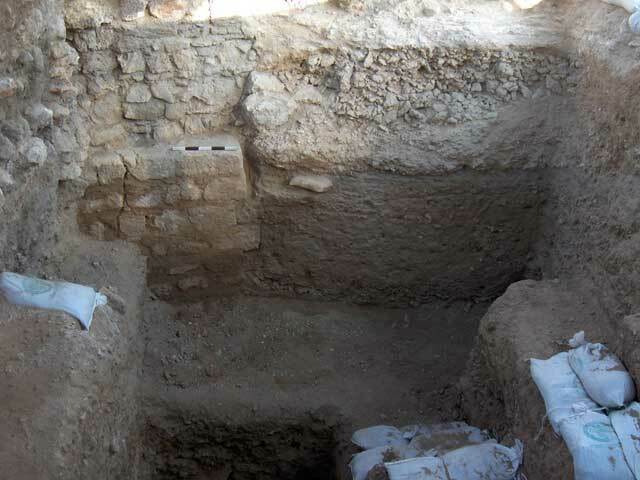 The excavation area was located outside and north of the Ottoman-period city walls, within the city precincts from the Crusader and Hellenistic periods. This area was part of the Montmusard Quarter in the Crusader period; it was founded at the end of the twelfth century CE and enclosed within walls during the thirteenth century CE. 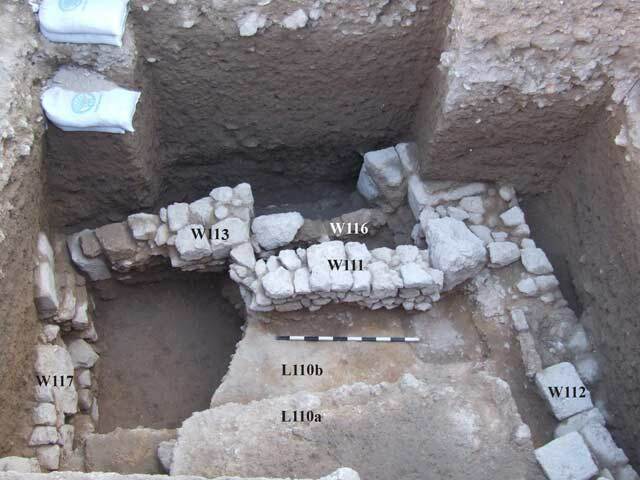 Remains dating to the Crusader and Hellenistic periods had previously been exposed in the quarter: To the west of the current excavation area, remains of buildings from the Crusader and Hellenistic periods were uncovered in 1979 on Ha-Hagana Street (Fig. 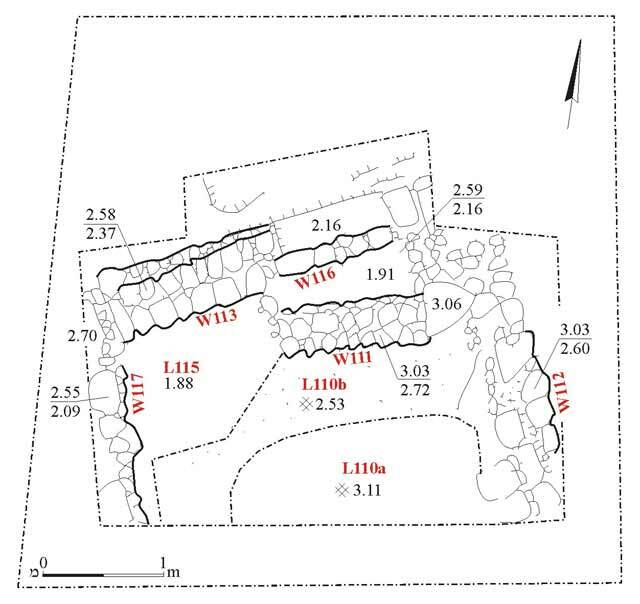 1:1; HA 73:38–39 [Hebrew]); remains of a bathhouse from the Crusader period and others from the Hellenistic period were exposed northeast of the excavation area (Fig. 1:2; HA-ESI 110:12*–13*). To the north and adjacent to the police station, a market structure was surveyed, based on an aerial photograph taken during the British Mandate era (Fig. 1:3; A.J. Boas. 1997. A Rediscovered Market Street in Frankish Acre? ‘Atiqot 31:181–186). The foundations of the quarter’s northern city wall from the Crusader period were exposed c. 500 m further north in another excavation (thirteenth century CE; Fig. 1:4; HA-ESI 120). Two squares (A, K) were opened, c. 40 apart. Square A. Remains dating to the Hellenistic, Crusader and Ottoman periods were discovered. Potsherds exposed below the floors of a building from the Crusader period (L115; Fig. 2) were ascribed to the Hellenistic period, and a large quantity of Hellenistic ceramics was discovered in an accumulation from the Ottoman period that covered the Crusader-period remains (L100, not marked on plan), as well as a Seleucid coin from the second century BCE (IAA 106362, see Syon below). 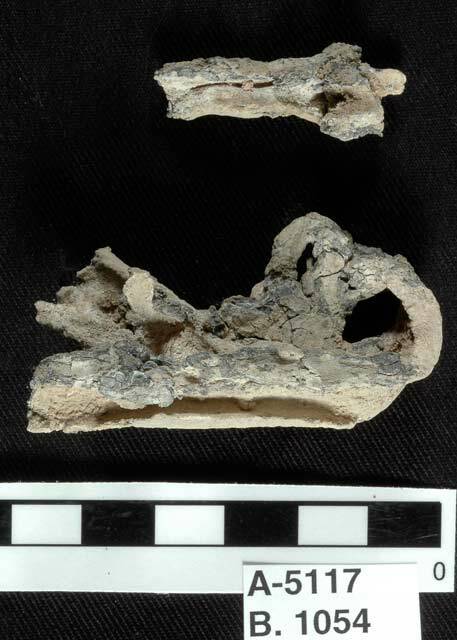 Remains of a building from the Crusader period that consisted of two phases were exposed (Fig. 3). The early phase included a tamped kurkar floor (L110b) and a wall (W111) built of small rectangular kurkar blocks, without mortar. A floor of tamped earth and kurkar (L110a), which was found fragmented in the southern part of the square, covered the wall, whose upper part was dismantled in the later phase. The later construction negated the earlier building, as could be seen by Wall 117 that severed the earlier Floor 110b. Other walls and two meticulously carved pillar bases, situated c. 2.5 m apart, were discovered in the northern part of the square (Fig. 4). Walls were built between them on bedrock-hewn foundations (W113, W116, probably one wall). An entrance to the building was set in W116. South of the two pillars were two other walls, Wall 112 and Wall 117, oriented north–south and dry built of medium-sized kurkar stones. These were foundations of a building whose upper courses were not preserved, save for three ashlars in the southern part of W112. The foundations of the building, a fragmented kurkar floor (L110a) and a clay pipe from the eighteenth century CE, found slightly above these remains, bear witness to the stone robbery and the damage to the building that occurred in the Ottoman period (eighteenth century CE). The potsherds recovered from the building date to the Crusader period and include an ‘Akko bowl’ (Fig. 5:1), a glazed bowl decorated with slipped stripes (Fig. 5:2), a cooking pot from the Lebanese coast (Fig. 5:3), an amphora (Fig. 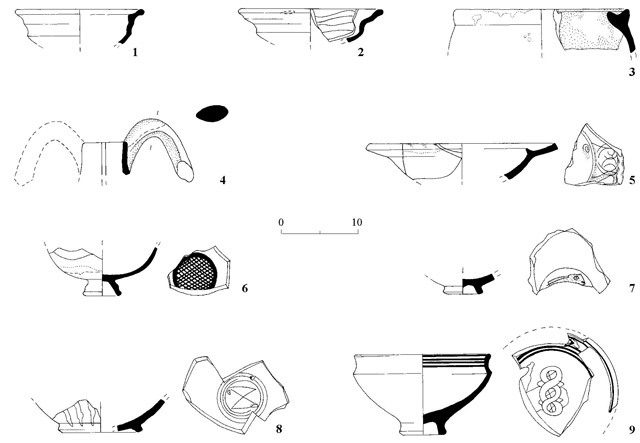 5:4), glazed bowls imported from various places, i.e., Port St. Symeon (Fig. 5:5),a bowl from the Aegean region, decorated with a hare and fashioned in the champlevé technique (Fig. 5:6), Proto-Maiolica from southern Italy (Fig. 5:7), Zeuxippus ware (Fig. 5:8) and a vessel decorated with sgrafitto from Cyprus (Fig. 5:9). Other artifacts included coins from the thirteenth century CE (IAA 106367, 106368, 106369, see Syon below), glass vessels and parts of glass windowpanes (Figs. 6, 12; see Gorin-Rosen, below), lead came that was used to connect glass panes (Fig. 7) and numerous nails. Two fragments of a stone slab that bore a Latin inscription and was probably a woman’s tombstone, dating to 1218 CE (Fig. 8), were discovered. Here lies (name), the surviving wife of (names). She died on September 2, in the glorious year of 1218. The later building was apparently a monumental structure. 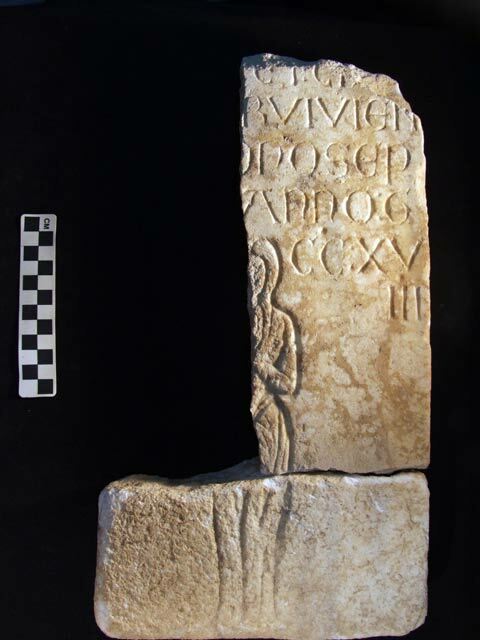 Carefully carved pillar bases, which are in keeping with the massive construction of the Crusader period (see Finds from the Hospitaller Compound in the City, ESI 14, 18; HA-ESI 110, 113), were incorporated in it. The preserved architectural remains, the glass windows and the marble plaque may imply that a church or a chapel from the Crusader period stood here or in the close proximity. A section of a thick kurkar floor (L110a) ascribed to the Ottoman period was discovered in the southern part of the square, as well as accumulations of dark brown soil that extended from the surface to a depth of c. 3 m. The latter contained a large quantity of potsherds dating to the Hellenistic period and a smaller amount from the Early Roman, Crusader and Ottoman periods, including clay pipes. The stones from the Crusader-period building were apparently robbed at this time, when fortifications were built or reinforced in the eighteenth and nineteenth centuries CE. Square K contained meager architectural finds from the Crusader period, mostly soil fill (L109; depth c. 4.5 m, 1.5 m above sea level; Fig. 9); the excavation was suspended because of safety considerations. Most of the remains were from the Hellenistic and Crusader periods, but the pottery vessels were attributed to the Roman, Byzantine, and Early Islamic periods and a coin from the Umayyad period was also found (IAA 106365, see Syon below). The remains from the Hellenistic period included a wall (W119), which was built of finely worked stones and bonded with dark brown mortar that contained potsherds. It seems that the upper part of W119 was either robbed or dismantled in the past and Wall 103 was built over it in a later phase, probably on its foundations. The continuation of the wall to the east is missing and its stones were robbed probably before the kurkar fill was deposited (L109). The wall was only discovered in the balk and not entirely excavated. Numerous artifacts from the Hellenistic period were exposed in the later fill (Loci 109, 120), including many fragments of pottery vessels, among them amphorae with stamped handles (see Finkielsztejn below), fragments of glass and lumps of raw glass (see Gorin-Rosen below), pieces of painted plaster (fresco) and coins (IAA 106361, 106363, 106364, 106365, see Syon below). Based on the construction style of W119, the finds in the fill (L109) and the pieces of painted plaster, it appears that a majestic building from the Hellenistic period had once stood here. The remains ascribed to the Crusader period were found below the asphalt that was removed in the western part of the square; there were probably also remains on a higher level in the eastern part of the square that had been destroyed in the past. A few architectural elements were exposed. The bottom part of a cesspit was discovered in the northeastern part of the square; Wall 103 and a plaster floor that sloped toward the west (L101) were uncovered in the southwestern part of the square. Only the western part of the cesspit was exposed (Fig. 10). It was lined with three walls (W104, W107, W108), which were dry built of partially dressed rectangular stones, sometimes with smaller stones between them and whose interior faces were straight. The installation, dug into the kurkar fill, was probably situated below the surface level of the Crusader period. Half of the pit’s content (L114) was excavated and Crusader-period pottery vessels were discovered in a layer of moist gray soil, in which yellowish patches were present. The western part of the square was overlain with a layer of plaster that sloped to the west (L101).Below this layer and throughout the square was orange colored kurkar fill (L109) that frequently contained gravel, a large quantity of ceramics from the Hellenistic period, as well as a few potsherds from the Early Roman, Byzantine, Early Islamic and Crusader periods.In addition, pieces of painted plaster and coins from the Hellenistic period were found.The excavation deepened in the middle of the square (L120; 1.5 m above sea level) where the finds from the Hellenistic period were mostly concentrated, as well as other potsherds that ranged from the Byzantine to the Crusader periods. It seems that this was the continuation of the fill from the Crusader period. Wall 103, which superposed Wall 119, was built of fieldstones arranged in layers according to the stones’ size. The plaster surfaces partially covered the wall that was only discovered in the balk. 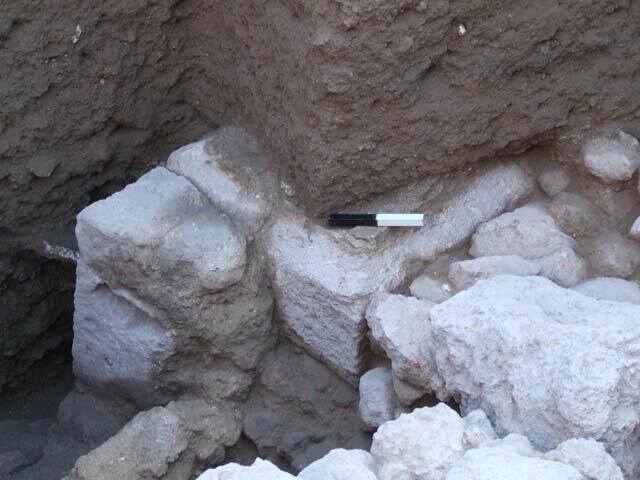 A lens-shaped layer of gravel fill was exposed north of the wall and below the plaster layer (L101). This was probably stone-dressing debris that had been left behind by the builders who robbed/dismantled the stones of W119 and dressed them according to their needs (Fig. 11). It seems that a magnificent building from the Hellenistic period had originally stood in this place, some of whose walls were robbed in the Crusader period. However, it is evident that during the Crusader period the entire excavated area was deliberately filled in with kurkar to a depth of at least 4.5 m. Layers of white plaster were deposited above this fill and W103 was built west of it, probably serving as a retaining wall for the fill and plaster layers. A building was probably constructed above the fill, of which only its subterranean part, i.e., the cesspit, had survived. 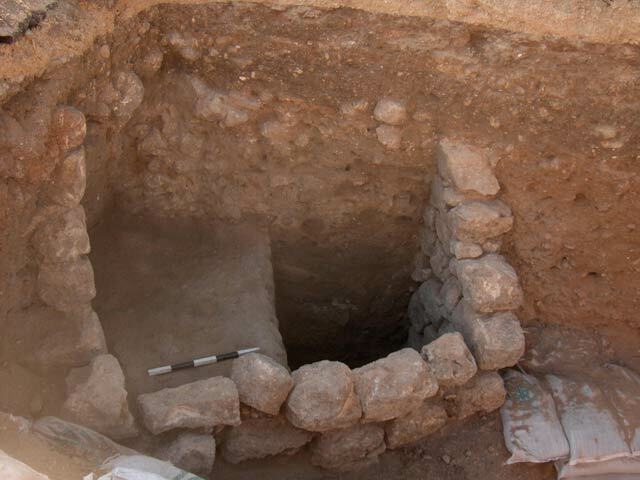 Despite the limited scope of excavation, the finds from the two squares contribute essential data to our knowledge of ‘Akko in the Crusader period in general, and the Montmusard Quarter in particular. The different finds in the two squares can be explained by their location. 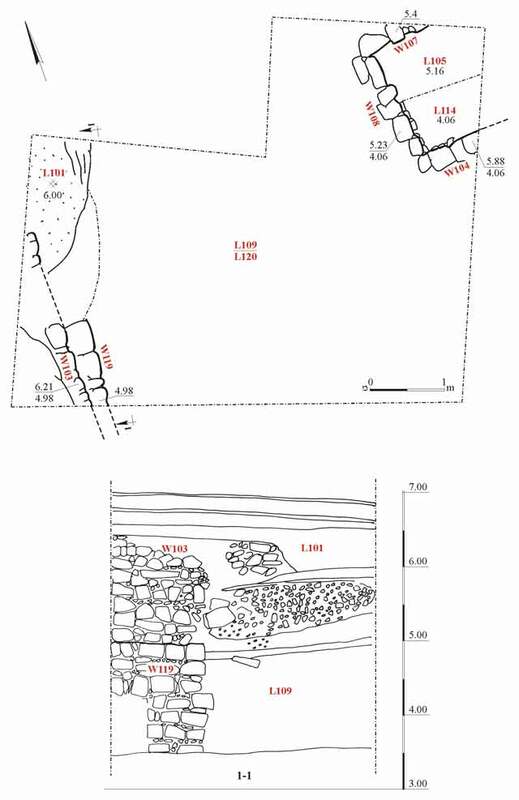 Square K is closer to the region of the city wall and the fill that was excavated is probably connected to a fortification or massive building situated on the edge of the Montmusard Quarter. Square A is located in the heart of the quarter’s residential area. The excavation has revealed that the topography in the Crusader period was probably different from that of today. The finds ascribed to the Hellenistic period included potsherds, amphorae, coins and glass vessels, yet no architectural remains were detected. 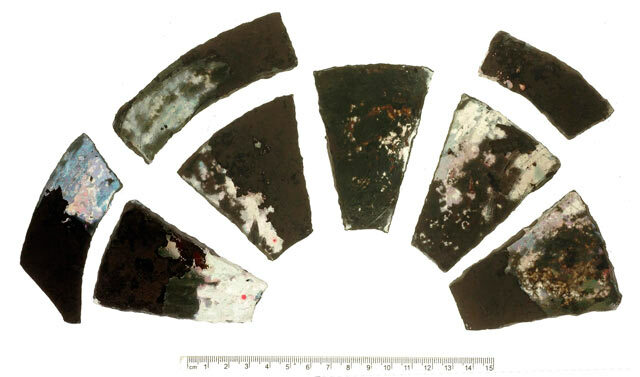 Of the c. 190 recovered glass fragments, c. 100 could be identified; most of the glass dated to the Crusader period. Several of the fragments represent earlier periods, including two from L109: a fragment of blown glass beaker decorated with horizontal wheel-cut from the Early Roman period, and a rim fragment of a juglet decorated with a thick trail and dating to the Late Roman period. The finds from the Crusader period included drinking vessels, mostly beakers and bottles, as well as a large number of broken windows. The vessels and the windows are made of colorless glass that is covered with a thick layer of black weathering. 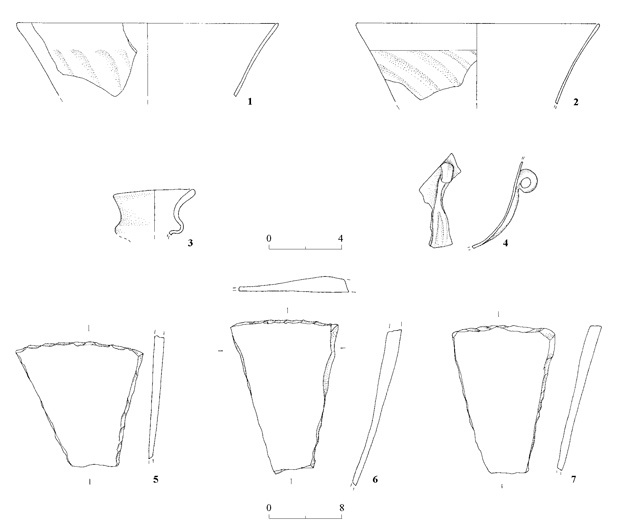 The dating of the vessels is based on a comparison with Crusader assemblages that are unequivocally dated to the thirteenth century CE and have been examined, for example, the glass assemblage from the Hospitaller compound (E. Stern, HA-ESI 110:13*–14*, 113:12*–13*) and the glass artifacts from the Knights Hotel excavation (D. Syon and A. Thatcher, ESI 20:11*–16*). The preserved beakers are characterized by flaring rounded rims and hollowed tubular pushed-in bases. The walls of these beakers are exceptionally thin. Two such beakers whose bodies are decorated with a pattern of twisted ribs were found in L105. They are very similar and only differ in the angle and density of the pattern’s inclination. The beaker in Fig. 12:1 was blown into a pattern of spacious ribs, which was slightly twisted so that the ribs are somewhat dipped. The beaker in Fig. 12:2 has denser ribbing that was twisted more, so that the ribs are diagonal. Another beaker with a similar pattern was found in L115. At least three of the several bottle rims and necks belong to a type, which is typified by a flaring rim with an open fold below it that protrudes outward (Fig. 12:3). The latter bottle is of colorless glass; it was asymmetric and carelessly made, pointing to local production. The fragment in Fig. 12:4 probably belongs to a large bowl-shaped oil lamp, to which small loop handles were attached with an elongated strip of glass below them. Both the handle and the strip are of colorless glass and very carelessly made; they are coated with a layer of weathering, similar to the vessels and the windows. The important glass artifacts recovered from this excavation are the fragments of glass windows. Many of them were worked and their ends were retouched in various shapes, for examplethe three trapezoid windows whose short sides are retouched in a somewhat circular shape and when connected they form the shape of a flower petal (Fig. 12:5–7). The three windows are made of colorless glass; those inFig. 12:6, 7 have a greenish tinge and are covered with a sandy coating on a thick black layer of decay, overlying an iridescent film that was exposed after the removal of the thick layer. These window panes were made from thick round blown windows that are called ‘bull’s eye’, due to their thickened center and pontil scar. Their characteristic encircling blowing spirals are clearly visible on some of the fragments, which were fashioned into various geometric shapes. Such a concentration of glass fragments from windows in so many shapes is relatively rare and it is assumed that they originated from one or several windows that adorned some public building. Windows of this type were found in the Crusader church at ‘Atlit; most of the fragments were also of colorless glass, and only several were made of colored glass (C.N. Johns 1935. Excavations at Pilgrim's Castle, 'Atlit [1931-2]. QDAP 4:133). As a large concentration of these windows was found in L110, it is suggested that they came from a single window, which had an intricate pattern similar to the one reconstructed in Fig. 6: a circle in the center, surrounded by flower petals, similar to Fig. 12:5–7, and other units above them, comprising broad and short trapezoids.It is reasonable to suppose that these windows were connected by lead came, which was the accepted technique in this period. Some of the windows in this locus were deformed, probably due to extreme heat. Other square, rectangular and trapezoidal windows were retrieved from L100. Several chunks of glass production debris were also found, including two pale green, raw glass chunks that may represent an earlier industry. The shade of the glass and its quality resemble that of the Roman–Byzantine periods, rather than the Crusader period (Loci 100, 109). Another chunk of glass production debris was found in L115. Except for two illegible coins, the ten coins and flans recovered from the excavation are presented in the following table. The Coins from the Hellenistic period are common to ‘Akko, with the exception of the coin of Ptolemy VI (IAA 106364) who conquered Phoenicia and the Land of Israel for a brief period, and his coins are rare, although he also minted in ‘Akko. The Ayyubid-period coin, the two billon coins from the Crusader period and the two lead tokens, which are common to ‘Akko, clearly reflect the currency in circulation during the second half of the Crusader period—the thirteenth century CE. The rare coin from the Duchy of Berry in France (IAA 106367) and another coin that had previously been found in ‘Akko, are the only ones of this kind to have been discovered in Israel to date. The 91 diagnostic fragments of amphoras, stamped and not stamped, reveal a classical picture in the southern Levant, especially along the coast and particularly in ‘Akko. 5 = 3 “Dressel 24” + 2 Ephesian "Nikandros Group"
3. Square A, general view, looking north. 5. Crusader pottery from Square A. 6. Fragments of glass windows, proposed reconstruction. 8. Fragments of a tombstone. 9. Square K, plan and section. 10. Square K, Crusader cesspit. 11. Section in Square K, looking east. 12. Glass vessels and window fragments.